The European and Middle Eastern Society for Biopreservation and Biobanking (ESBB) and BBMRI-ERIC jointly held Europe Biobank Week (EBW) this September. Emma Lawrence, UKCRC TDCC Research engagement manager reports back on the week’s events. 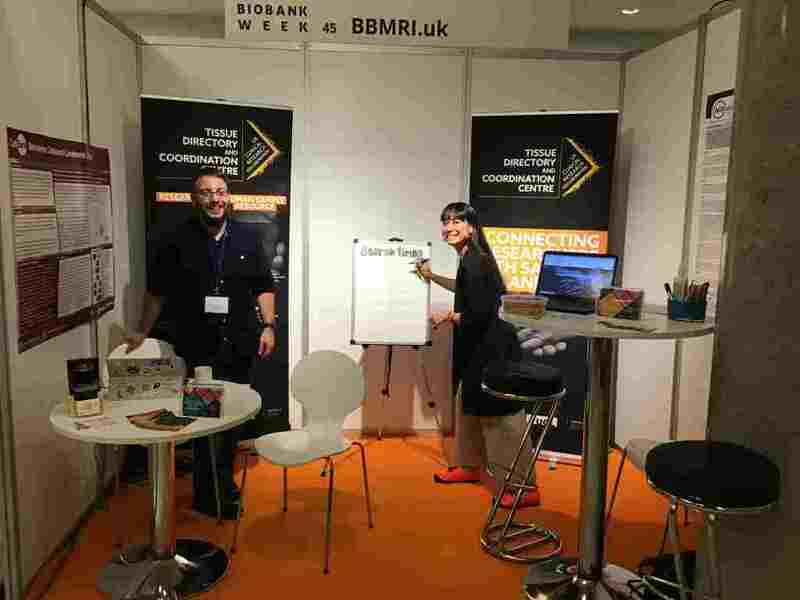 I attended Europe Biobank Week on behalf of the UKCRC TDCC this month. 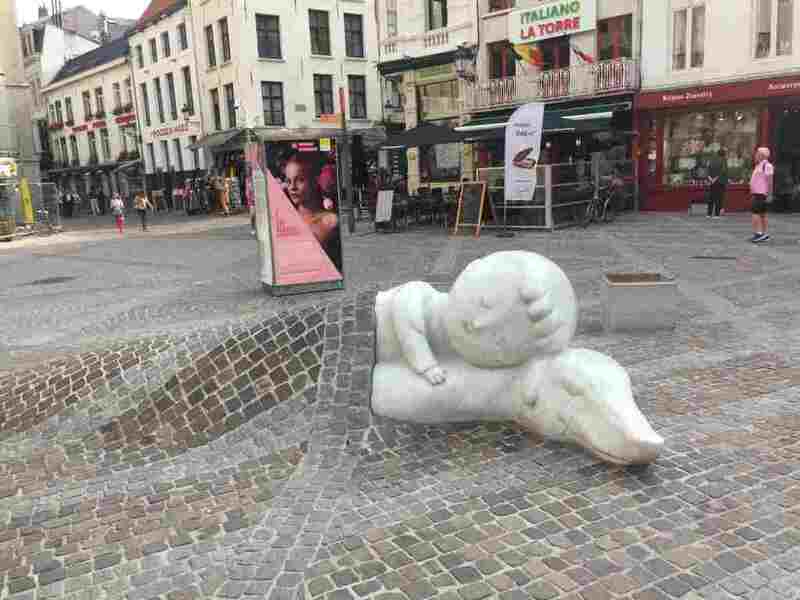 It was held in Antwerp, a pretty city in the north of Belgium. 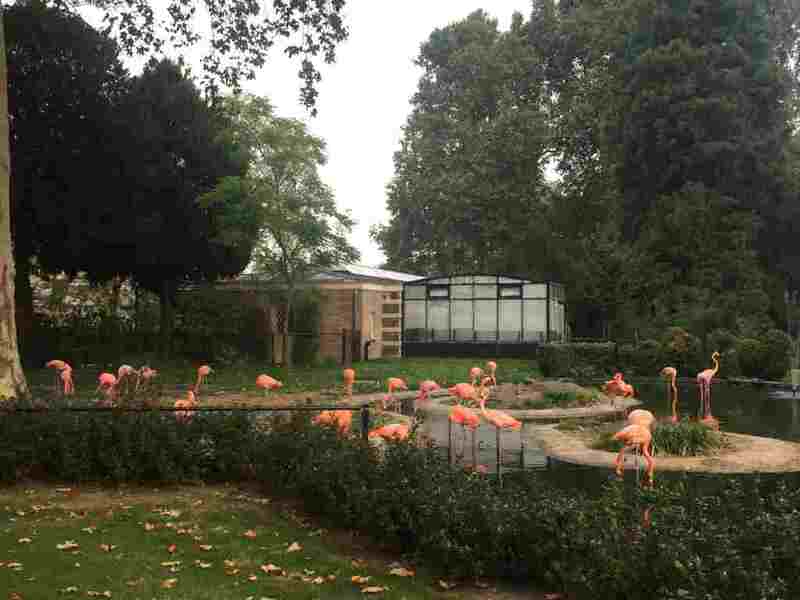 The conference venue was amazing as it was right next to a zoo! A zoo visit was included in the welcome reception, so we got to meet the local residents (providing they were awake). I learnt that skills and expertise in biobanking are a resource that should be more valued and shared in the community. I heard many examples of this during the week. Notably we heard about the PREVAC phase 2 clinical trial on Ebola vaccination. Renault Vatrinet was involved in setting up a Biobank during the 2014-14 Ebola outbreak. We heard about the challenges of setting up such vital infrastructure in New Guinea. I think part of the success of the project came down to the sharing of skills with and between Guinean staff. They held a weekly journal club that everyone was invited to, which encouraged scientific discussion and learning. All of the infrastructure, including freezers with generators and the LIMBS system will be left for the Guinean government after the project. I think another great example of sharing “Bio-skills” was introduced by Tony Burdett in the artificial intelligence (AI) and big data session. Tony works at EMBL-EBI, a European data institute that specialises in all sorts of big data analytics in the biosciences. EMBL-EBI provides a number of services for free and as such can save researchers money and time. Check out the EMBL-EBI website for more information! The sharing of bio data is also key to progress in medical research. Tony went on to discuss ELIXIR and the FAIR data principles; which aims to make data Findable, Accessible, Interoperable and Reproducible. He explained how they are enabling these principles through developing open standards and developing technical tools for the life sciences. One important factor is having reliable data; as an example, it’s been shown that there is a high level of error in gene naming due to excel “correcting the format” of the values. At EMBL they’ve developed a data curator service which could update terms and clean data in as little as 20min! Samu Kirku also picked up the topic of using AI to help manage big data sets. Samu works at the Auria Biobank in Finland. He’s been working on clinical data taken from the hospital, but pointed out that not all data is alike, for example, comparing simple assay data to the “challenge of free text data”. He explained how they use AI to do intelligent text searches on doctor’s free text patient notes. They are able to determine if a patient is a current, ex or non-smoker, from scanning the notes with 85-95% accuracy. This means that a search can take a matter of hours instead of months! Any good team relies on trust and I think the Biobanking community is very well attuned to this. I really enjoyed learning about the FarGen project which is conducted by the Genetic Biobank of the Faroe Islands. Noomi Gregersen introduced it as a unique population for studying genetics. 1,532 Faroe Islanders have joined the project to have their genomes sequenced, as well as their genealogy mapped, using church registries and census data. There must be a strong sense of trust between all parties in order to embark on such a big project, in which researchers would have intimate access to participants’ personal data. For example, they can work out the kinship of participants, which means how related they are. They are also using genealogical stratification when studying IBD, performing whole exome sequencing and association analysis between cases and controls. They can “clean” the control population by removing any participants that are related to IBD cases. I also really enjoyed Gesine Richter’s talk on the acceptability of healthcare embedded Biobanking without consent. She’d conducted a survey with the pubic following the recent instigation of the GDPR. She concluded that, “Patients are willing to give broad consent to give their data to healthcare providers in the name of research”. Altruism, reciprocity and solidarity were the main categories of reasons people cited for wanting to contribute to research. She found that 76% of the people surveyed, approved of Germany’s legislation, which allows research on clinical data without patient consent under certain conditions. UKCRC TDCC Director, Phil Quinlan also highlighted the patient willingness to share samples and data with industry, as shown in the recent HTA and HRA report on public attitudes to sharing. He featured in the industry collaboration session, and outlined the ways we, along with collaborators, are improving sample visibility in the UK. One of the most fun parts of the event was sharing our directory through playing a game. We had a booth at the event, and we invited attendees to find samples on our directory against the clock. The fastest person each day won a UK-inspired prize. It was a great way to reach out to people and explain what we were doing while getting feedback on the Directory. All in all I thought it was a really successful event. There was plenty of challenging topics and debate and it was a great chance to catch up with everyone in the biobanking community. 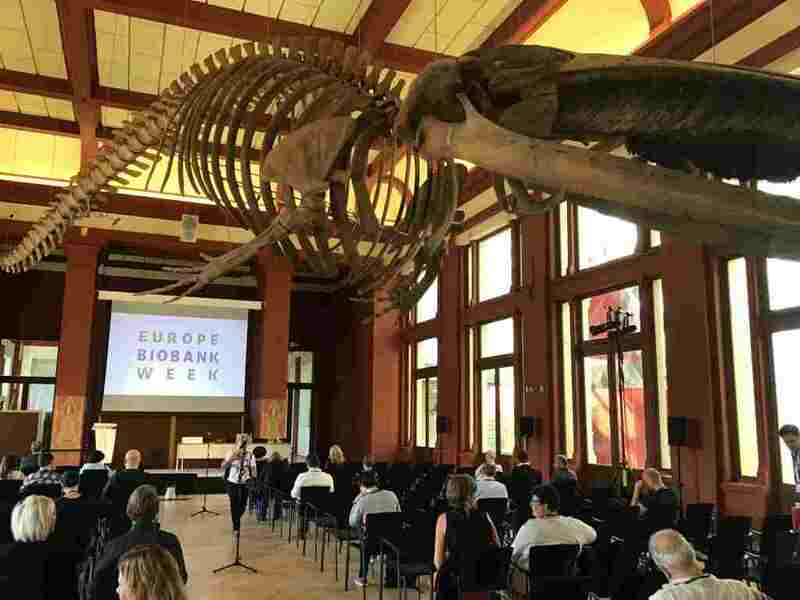 I expect everyone is looking forward to Europe Biobank Week 2019 already (as well as UK Biobanking Showcase of course!). If you couldn’t attend EBW18 but are interested in learning more about Biobanking, join us at UK Biobanking Showcase on the 27th November! This entry was posted in Events and tagged biosharing, conference, EBW. Bookmark the permalink.